If you want a great espresso machine but aren’t sure where to start – you’ve come to the right place. 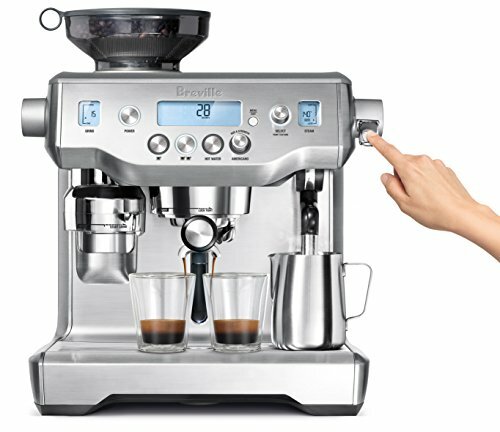 Our Breville BES920XL Dual Boiler Espresso Machine Review has all the information you need on specifications, techniques and how it compares to similar products. So let’s get started! The BES920XL is designed to make quality espresso fast – and to look seriously stylish while it’s at it. The key feature here is the dual boiler, which powers the espresso extraction and steamer at the same time. That means no waiting around for your lattes, cappuccinos or flat whites. With flexible shot control and precision temperature settings, this is a machine for the connoisseur. As you might expect with those features, it doesn’t come cheap. But if you’re willing and able to flash the cash, you’ll get an almost infinite ability to customize your coffee. 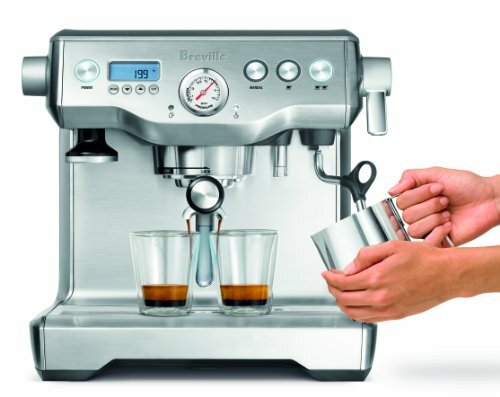 The coffee gurus over at Seattle Coffee Gear love the Breville BES920XL. Take a look at their video for the low down on all its features. The care that Breville put into their designs has really impressed them. Check out the last few seconds of the video for a final feature that epitomizes their customer-friendly approach. 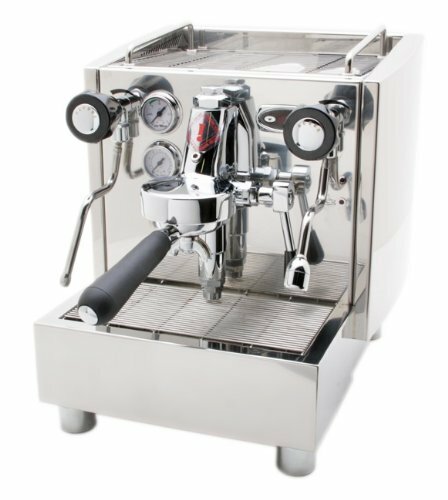 This is a single group espresso machine – in other words, it has just two nozzles. That allows it to be fairly compact as espresso machines go, measuring 16¼ inches by 15 inches by 15 inches. It weighs in at 30 pounds, but a clever gadget keeps it easy to maneuver. When it’s in position making coffee, it stays firmly in place. Pull out the drip tray, and you’ll find a small knob in the bottom. Twist it around and the whole machine rises up, allowing it to be moved easily. It’s a neat trick, but unless you’re keeping your coffee maker somewhere you can easily reach the back – a kitchen island, say - it’s also essential. The reservoir is removed from the rear of the machine, so you’re going to need to be able to get to it easily. 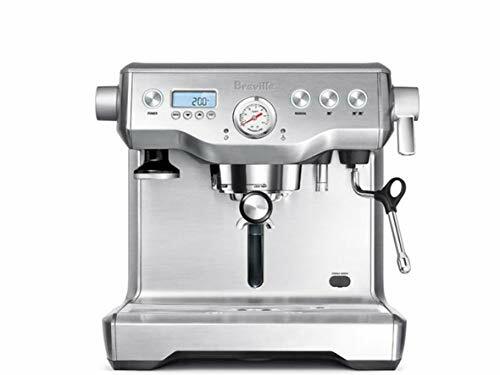 The first thing you’ll notice when you see the Breville BES920XL is its beautiful, shiny finish. The stainless steel case gives it a professional look that will make it a talking point in your kitchen. The portafilter is made of stainless steel too. It’s a pleasing weight, and you won’t have to worry about the plating peeling off as with chrome versions. Breville isn’t stingy with their portafilters, either. You get no fewer than four with your BES920XL. Two are double walled and two single walled, with one of each design either pressurized or non-pressurized. Use the pressurized portafilters when you want reliable results without a perfect grind. If you know your grind is spot on and you’ve time to dial in your shot perfectly, use a non-pressurized one instead. The double boiler allows water to be heated for espresso extraction entirely independently from water for the steam wand. That means you can be steaming your milk at the same time as you’re pulling your espresso shot. It’s a great feature for multi-taskers! It also means that the steamer pressure isn’t compromised by the espresso extraction. And you’ll get your espresso shot at the optimal temperature. Extracting the perfect espresso is a matter of precision. Even a single degree’s difference in brewing temperature can mean the difference between a bitter flavor and a smooth, rich taste. The BES920XL uses hi-tech gadgetry to deal with this. Its digital PID temperature control constantly monitors the temperature of the water and adjusts it as necessary. That means you can be sure every drop of water is perfect for your shot. This is a machine built for flavor. It uses a dose of 19 to 22 grams of coffee, compared to the standard 11 to 13 grams. The result is a much fuller, richer taste than you’ll get from lower dose machines. If you want a coffee to help you get going in the mornings, it’s a great choice. 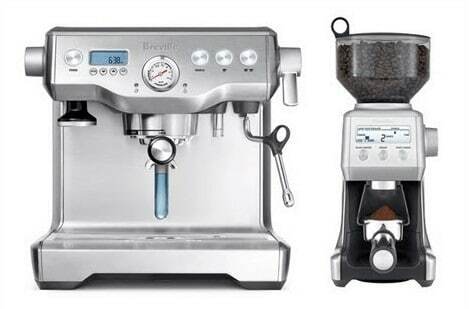 The Breville BES920XL pre-infuses each shot. What does that mean? Well, it adds a small amount of water at low pressure to the coffee in the portafilter before brewing. This allows the coffee grounds to expand or “bloom”, increasing the surface area and allowing more flavor to be released. Following pre-infusion, the machine uses 9 bars of pressure to extract optimal flavor from the coffee grounds. 9 bars is the industry standard. It means that water and steam pass through the coffee at nine times the air pressure at sea level. The combination of pressure and the time taken for the water to pass through the coffee is key to pulling the perfect shot. The steam wand here produces a decent pressure and has three holes at the end. With a bit of practice, you’ll be able to stretch your milk to a smooth, silky micro-foam. And of course, that also gives you everything you need to create your very own latte art. Master the technique, and you’ll have coffee that looks and tastes as good as anything from an artisan coffee shop. This is a machine that allows you to customize almost every aspect of your coffee. Get the best from it by taking the time to experiment. Try out different extraction times to see what works for the coffee you’re using. It can vary from 20 to 30 or even 35 seconds per shot. Taste the results to see what works best, then program the machine to reproduce your favorite settings. 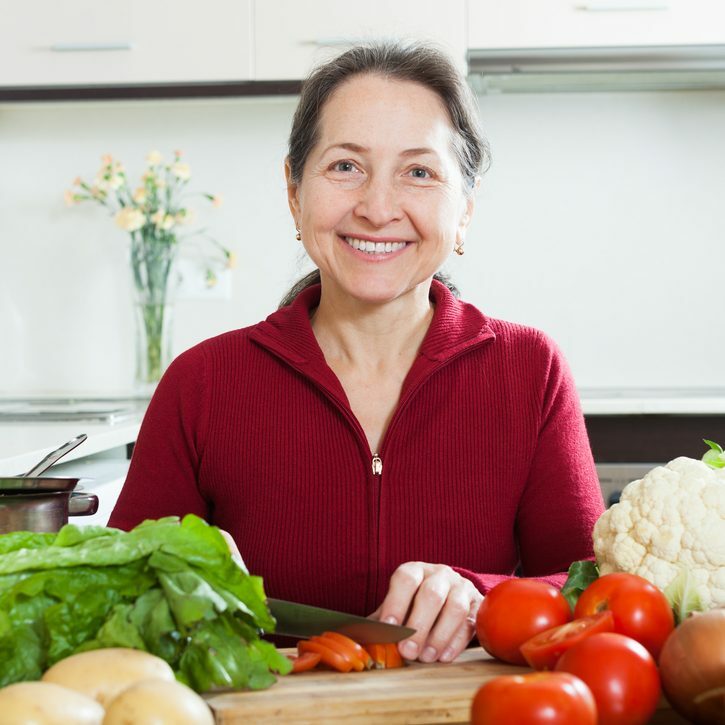 Use filtered water for the best results. Don’t confuse that with distilled water – you’ll need some mineral content for maximum flavor. If you’re making a long coffee – an Americano or anything involving milk – warm your cup beforehand. Your drink will stay hotter for longer. 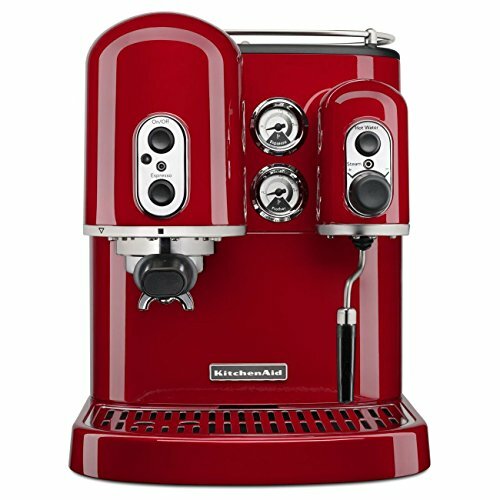 There are plenty of other espresso machines out there, but not so many that have dual boilers. Here are how some of the best compare to the Breville BES920XL. If you’re looking for some retro glamour, KitchenAid machines are a cut above the rest. The KES2102ER comes in red, black and “frosted pearl”, and is a real statement piece for any kitchen. 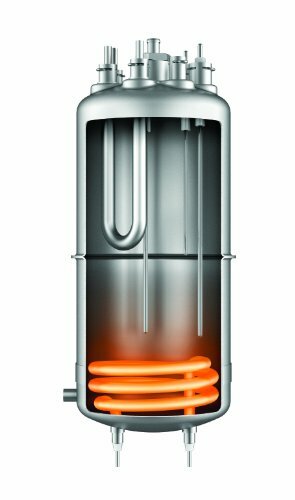 In addition to dual independent boilers, it features a hot water function and a cup warmer that holds 4 to 6 cups. There are none of the special gadgets of the Breville, however. If you’re looking for digital temperature control and pre-infusion, the Breville is the better machine. With dials, wands and gadgets galore, there’s more than a touch of the Heath Robinson about this espresso maker. It has loads of features, with PID temperature control, pre-infusion, cup warmer and a low water sensor in the reservoir. There are also angled portafilters for easy insertion and removal. 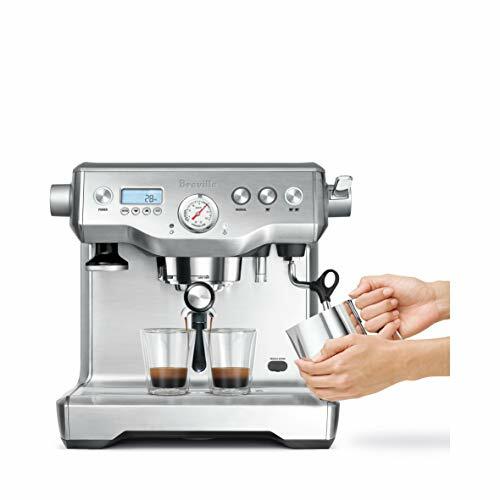 Like the Breville, it’s cased in stainless steel, and the espresso group is commercial grade. You’ll need deep pockets, though: it costs more than twice as much as the BES920XL. A step up from the BES920XL, the 980 has all the features of its little brother and more besides. It’s more expensive, but it incorporates its own grinder so you won’t have to spend money on a separate one. And with automatic grinding, dosing and tamping, it takes most of the guesswork out of espresso making. Like the BES920XL, it has dual boilers and PID temperature control for even flavor extraction. There are other bonuses too. A one-touch Americano setting delivers extra water after the espresso shot has been dispensed. The machine has a further three pre-set and six customizable settings. And you can also program the precise temperature for your shot, from 195 to 205 degrees Fahrenheit. If you’re looking for a bean to cup espresso maker, the 980 is well worth considering. We hope you’ve enjoyed our review of the Breville BES920XL. 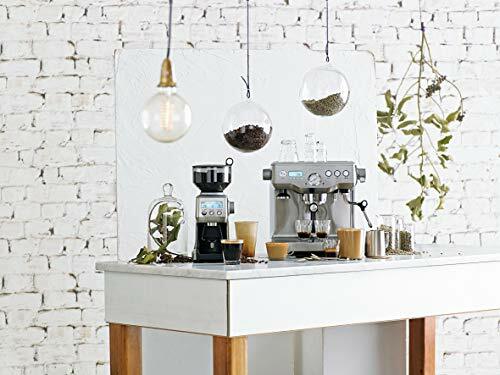 This great espresso machine is forgiving enough for a beginner to get excellent results, while seasoned baristas can experiment with its various features to their hearts’ content. What’s more, it will look fantastic on your kitchen counter. If you’re looking for a machine with an integrated grinder, check out the 980XL, also by Breville. It’s easy to use and has bags of clever settings to go alongside the dual boilers. Whatever option you choose, we hope you’ll soon be enjoying artisan quality coffee in the comfort of your own home. And if you’ve already taken the plunge, please comment and share your experience!